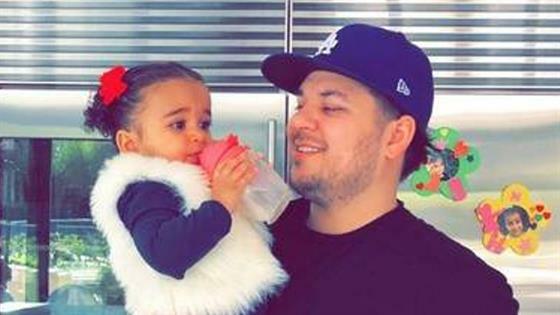 Rob Kardashian and Blac Chyna are setting aside their differences for the well-being of their daughter, Dream Kardashian. A source tells E! News that the former reality TV stars have come to a custody agreement regarding their 2-year-old daughter. According to the source, a retired private judge and their attorneys assisted them in coming to a "final custody agreement." The insider shares, "They agreed to split custody 50/50 but it's true that Rob will have Dream more of the time." Moreover, the source reveals, "Rob no longer has to pay Chyna $20k a month." In Nov. 2018, the 32-year-old reportedly filed documents stating he could no longer afford to pay the hefty sum for child support, due to a drop in income. Kardashian allegedly said in one part of the November documents, "It has been an extraordinarily difficult time for me emotionally and I have no desire to continue participating in [Keeping Up With the Kardashians]." As for the financial security of Dream, the source says that the parents agreed to "each pay for whatever Dream needs when either one of them has her for custodial time and any other expenses (school, medical) will be split evenly." "Rob is really relieved about this whole situation," the insider explains. "He just wants what is best for Dream." Kardashian and Chyna's relationship appears to be on the mend after a tumultuous year of custody battles. On Rob's 32nd birthday in March, his ex took to Instagram to send a cheerful message to him on his birthday. She wrote, "Happy birthday Rob," with a shamrock and happy face emoji. And just a month prior, Rob told his Twitter followers, "Angela and I are both actively co-parenting and there are no pending or active custody cases." "Robert and I only concern is what's in the best interest of our daughter that we both equally love. Additionally, Robert is a wonderful father to our Dreamy!" Chyna added.